Does My Home Have a Heat Pump? Home / Articles that Educate / Does My Home Have a Heat Pump? Whether you own a home or rent, it’s important to know what kind of HVAC system you have. One question we frequently get is, does my home have a heat pump? To help you answer this question for yourself, let’s take a look at the different types of residential heating units you might have and how to tell them apart. 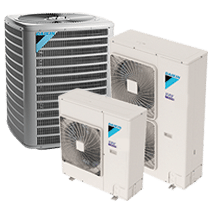 A heat pump is a specific type of heating unit that is very similar to an air conditioner except that a heat pump can run in either heating or cooling modes. When it’s cooling, the heat pump takes heat out of your home’s inside air and releases that heat outdoors. When it’s heating, the heat pump does exactly the opposite—it takes heat from outside and transfers that heat into your home’s air. Just like a refrigerator or air conditioner, a heat pump is powered by electricity. A heat pump doesn’t require any other energy source to run because it’s not burning fuel to generate heat. Instead it’s just moving heat from one place to another. Because a heat pump needs to take heat from the outside air in order to warm your home, heat pumps don’t work as well when the outside temperatures drop below freezing. So most heat pump systems have an emergency back-up heat, usually in the form of heat strips. These electrical heat strips may come on automatically or you may be able to turn them on from your thermostat. On your thermostat, it will usually say something like “Emergency Heat” or “Auxiliary Heat” when the emergency back-up heat is running. 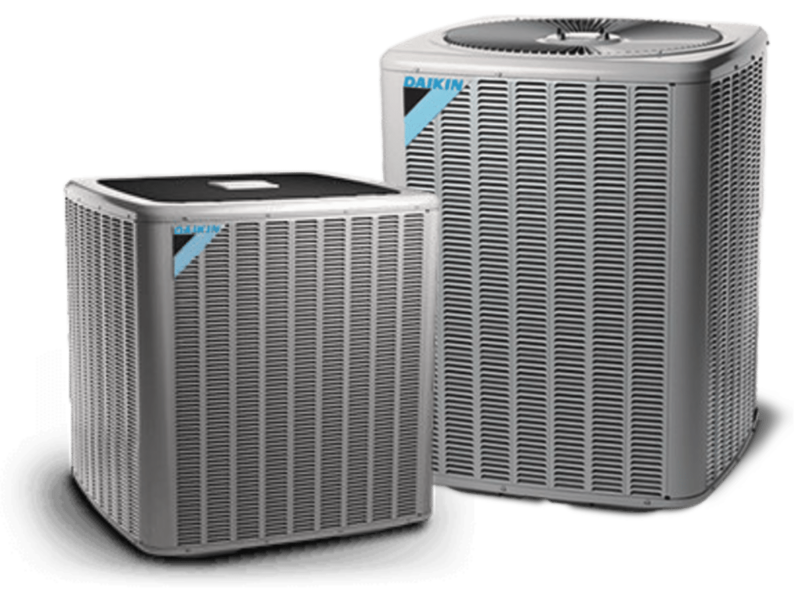 Like an air conditioner, a heat pump can be either a split system or a packaged unit. A split heat pump has two units—one inside your house and one outside. A packaged heat pump is all in one big metal box outside of your house. Here in the Tennessee Valley, most residential homes with central air heating have either a heat pump or a furnace. In colder parts of the country, homeowners may use other types of heating systems such as boilers. A boiler is a heater that burns fuel such as propane, oil, or natural gas in order to boil water and produce steam. This steam is then run through radiators or radiant baseboard units to heat the home. Chances are, if you live in the South, you don’t have a boiler in your home. We’re not usually trying to increase the humidity around here! However, furnaces are a popular heating option in the South. A furnace burns fuel in order to heat air that’s circulated through your home. Furnaces can use several different types of fuel, but natural gas is the most common fuel used in our area. Furnaces may be set up separately from air conditioners or they may be packaged together into a single unit. Packaged units with furnaces will be located entirely outside of your home, while a furnace paired with a split air conditioner system will have an inside unit. How Do You Tell Whether You Have a Furnace or a Heat Pump? You know your home has central heating. You know that when the heat comes on, hot air blows out of the vents inside your home. But how can you tell whether that hot air is coming from a furnace or a heat pump? First, check to see if there’s a label on the outside of your HVAC unit. Most units, even older ones, will have some kind of label that tells you the model number and usually indicates what type of unit it is. If you’re not able to tell from the label, then you’ll need to do a little detective work. Does your heater use natural gas? If there’s a gas line running into your heating system, then you have a furnace, because heat pumps only use electricity. If you can’t tell whether there’s a gas line, check your utility bill. Are you being charged for natural gas usage? Are you using significantly more natural gas in the winter than during the summer? Then you probably have a gas furnace. If you have a gas furnace or any other appliance, such as a stove or water heater, that uses natural gas, then it’s extremely important to make sure you have a working carbon monoxide detector installed in your home. If you’re still not sure what kind of heater you have, check your thermostat. Is there a setting for auxiliary or emergency heat? Do you ever see the “Aux Heat” notification come on? If you have auxiliary or emergency heat, then you have a heat pump. Furnaces don’t need auxiliary heat because they work just as well when the temperatures drop below freezing. You should have your heating system inspected and tuned up at least once a year, preferably early in the fall before you need to turn it on for the first time. Whether you have a heat pump or a furnace, regular maintenance is important to keep your heating system working reliably, efficiently, and safely.